CFCA Athletics Day in Kenya encourages youth to explore their talents in sports. 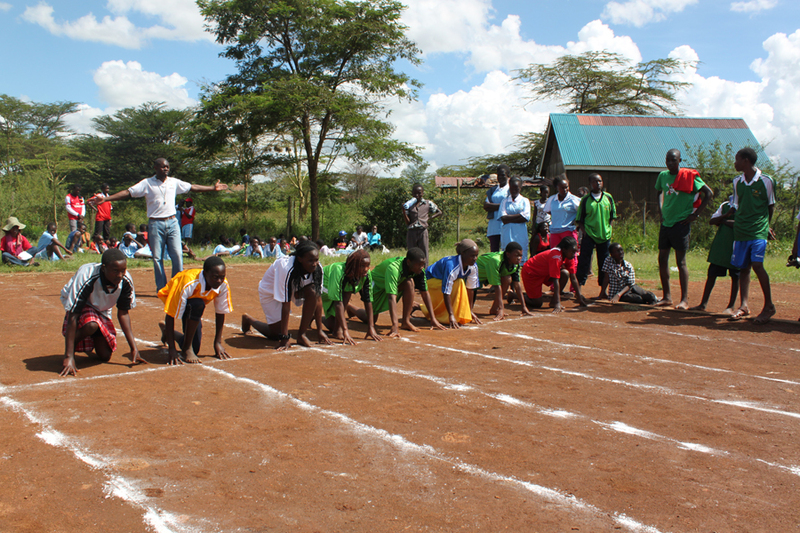 What happens when you mix healthy young people, a warm day in Kenya and an empty track? If you said a CFCA Kenya Athletics Day, then you would be correct! The grey and heavy clouds did not stand in the way of the Nairobi youth who had prepared for the CFCA Athletics Day held in the heart of Mathare slums, in Nairobi. As they warmed up, so did the weather. Rays of sun soon filled the sky and the clouds gave way to blue skies and the bright sun. It was going to be a bright day and the athletes were ready for the races. Kenya is well known all over the world for having some of the best athletes, especially in long-distance races. I saw great potential in the young men and women who participated in the races. They showed great talent, and I was so excited to watch them from the sidelines. When not taking photographs, I would cheer them on! CFCA sponsored youth, Beryl, has discovered her talent in athletics. CFCA sponsored youth, John, who won his race! Way to go, John! As sweat broke from their brows, the youth from different areas within Nairobi ran as fast as their legs could to bring glory to their respective subprojects (local CFCA programs). It was a tough competition, and the fastest touched the finish line amid cheers and applause from their teammates. “I am so happy to be part of the CFCA youth program. I do not feel alone anymore; I have met other young people who have a lot in common with me. I also have discovered I am talented in athletics,” Beryl, a sponsored youth, cheerfully said. “I was leading in the 100-meter race,” she happily added. The CFCA-Nairobi youth program schedules the games during school holidays, to keep the youth busy and keep them away from vices. “The youth are easily influenced by their peers, so we decided that having sporting events during school breaks would keep them occupied and serve as a distraction from the negative things in their environment,” Muchiira said. The athletics day organized by the CFCA youth program is one way of encouraging the youth to explore their talent. It also fosters strong friendships between the youth, creating a feeling of mutual accountability and support among them. “I have always admired the athletes in Kenya, and so today I am so happy that I got to participate in a race and I won. I feel great,” John, a sponsored youth, said. Regina thank you for this inspiring article. So happy to see this taking place in Mathare and praying that things are continuing to be peaceful after the elections. It is wonderful what the youth programs accomplish to help build these talented young people into the creation that God meant for them to become. If it was the youth program I am sure that Amos was there sharing his passion and encouraging the youth to do their best. I miss your country and find little bits of Kenya in my day. God bless all of the CFCA staff in the country of Kenya and being the hands and feet of Christ.